A virtually hassle-free perennial, offering three months of vanilla-scented, white flowers in clean clusters from midsummer to early fall. Deadheading the flowers will stimulate another bloom cycle about a month after the first one. The flowers, which are heavily laden with nectar and pollen, are particularly attractive to hummingbirds, butterflies, bees, and other beneficial insects. Gather bouquets of Asclepias all summer long; the long stems are wonderful for cutting and are long-lasting. Sear the ends of the cut stems over a flame to stop the milky sap from leaking out. Following the fabulous flowers, typical milkweed seed pods develop which rupture to reveal seeds with long, silvery-white, silky hairs. These are great to use in dried flower arrangements. This species grows in loose clumps by means of slowly creeping rhizomes. 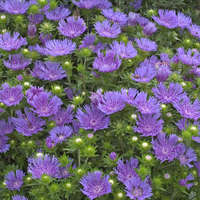 It is not invasive and can safely be mixed in with other perennials in the border. Ascelpias incarnata is native to North America. 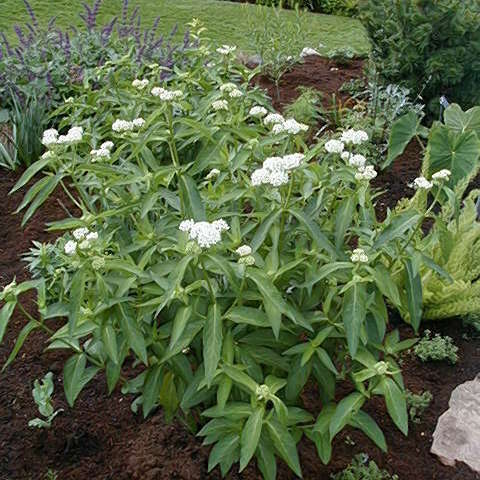 Asclepias incarnata grows best in moist to wet soils, but will tolerate drier conditions. This species, unlike A. tuberosa, prefers humus-rich soil. A full day of sun is best. 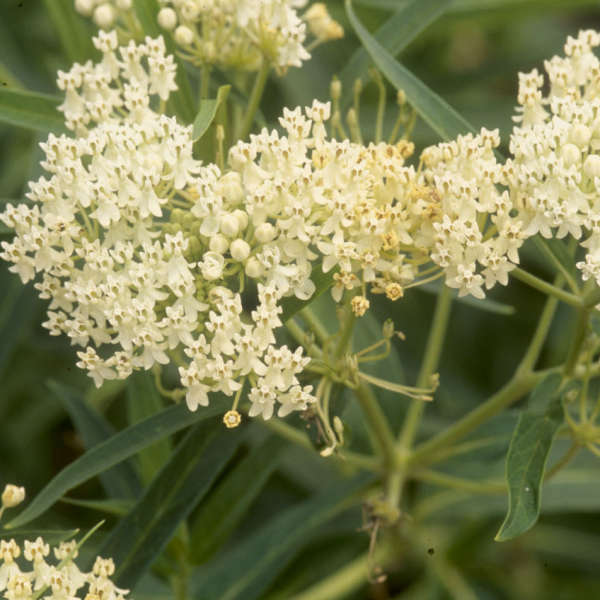 Once established, Swamp Milkweed requires little care. 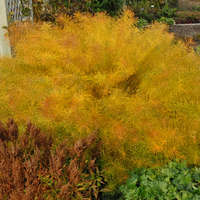 Though it is perfectly cold-hardy in the north, mulching plants in winter will help prevent frost-heaving. 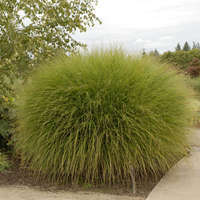 In spring, trim back last year's growth and await the beautiful new foliage which will appear a bit later than other perennials.